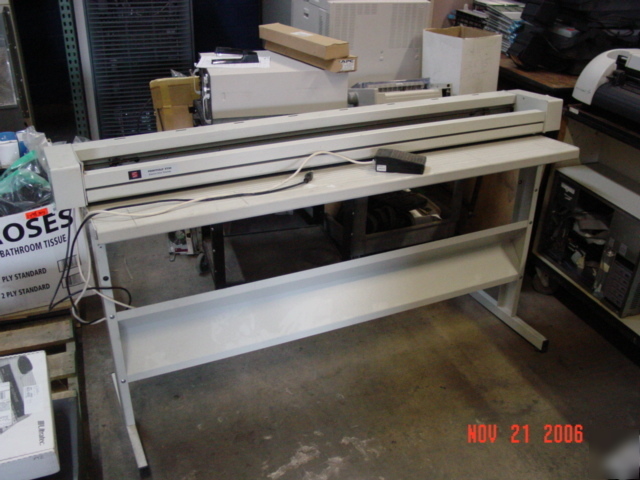 I THINK THAT THIS IS A PAPER CUTTER, BUT THERE IS NO KNIFE INSTALLED. HAS SOME DAMAGE BY THE SWITCH. I CAN'T FIND ANYTHING ON THE INTERNET ON IT. THIS NEEDS TO BE SENT FREIGHT AND WE HAVE TO BUILD A CUSTOM CRATE FOR IT. This unit has not been tested thoroughly, but was removed from a working environment.